Dynamic Physical Therapy was opened in 2003 by Lincoln Kinkade, PT to offer a comprehensive range of physical therapy services to treat back, shoulder, neck and knee pain. 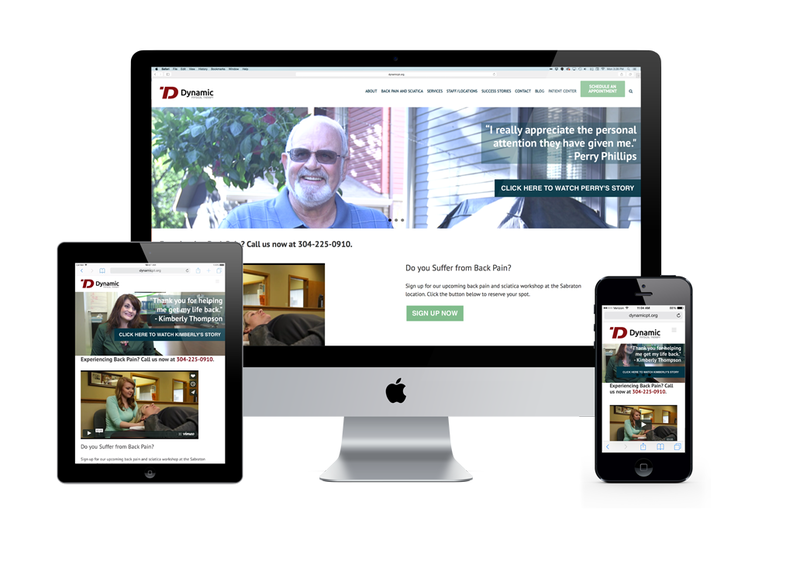 We developed a full-fledged inbound marketing campaign to promote a back pain workshop centered around a high-performance website, high-end video production including 3 compelling patient testimonials and a strategic facebook campaign. The results were outstanding with a full attendance at the one-day back pain workshop. 50% of attendees scheduled screenings and 1 went straight to a paying patient.